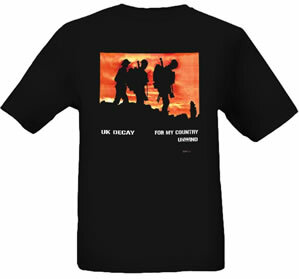 The ever popular ‘For My Country’ design on a black cotton T – Shirt. 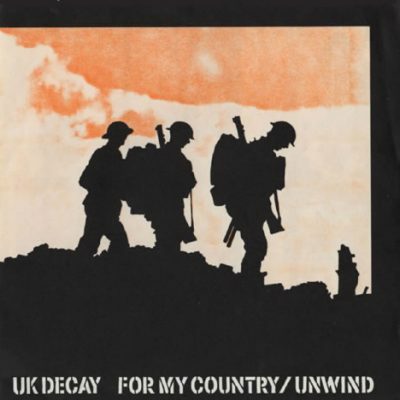 45 RPM single released prior to the the bands first major UK tour supporting The Dead Kennedy’s in October of that year. 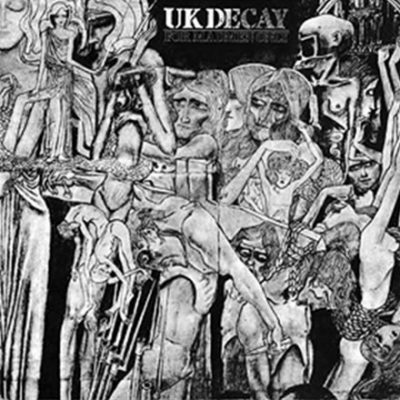 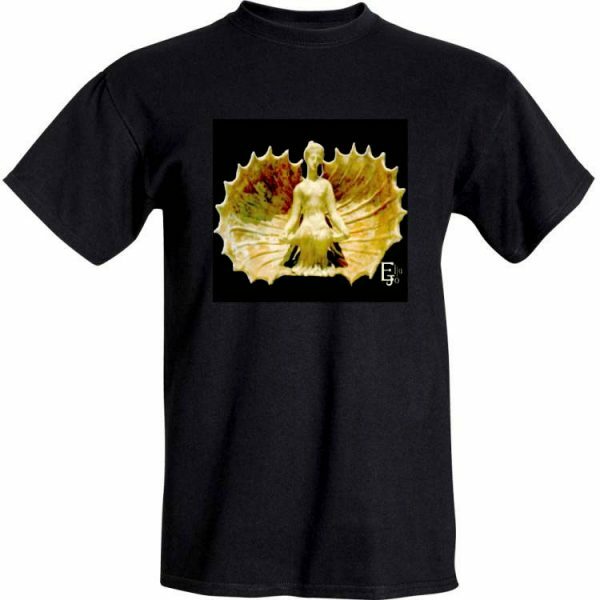 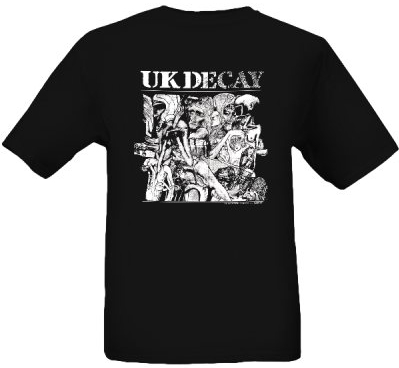 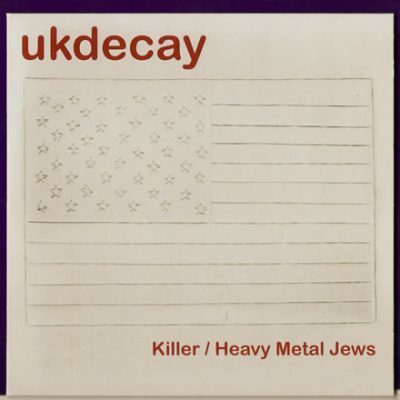 It quickly became the most popular and memorable UK Decay T Shirt with the band selling many throughout the tour across the country. 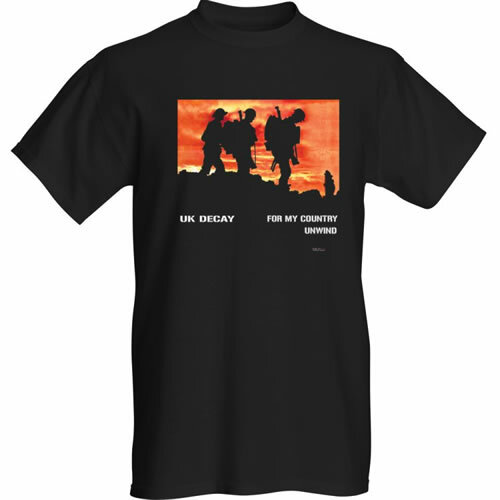 The orange sky framed by black silhouetted WW1 Tommy’s marching along a debris torn battleground would stand out a mile in a sea of black leathers and shining studs. 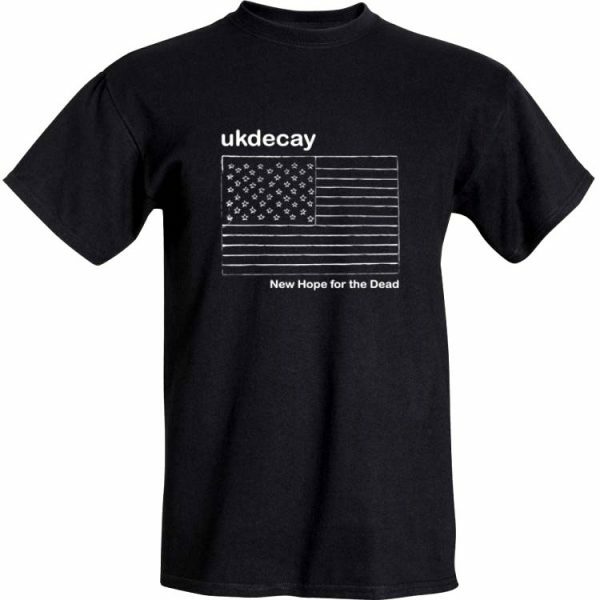 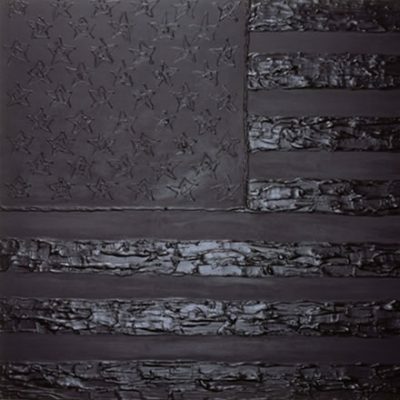 A perfect empathy for the timeless anti war sentiment expressed in the song. 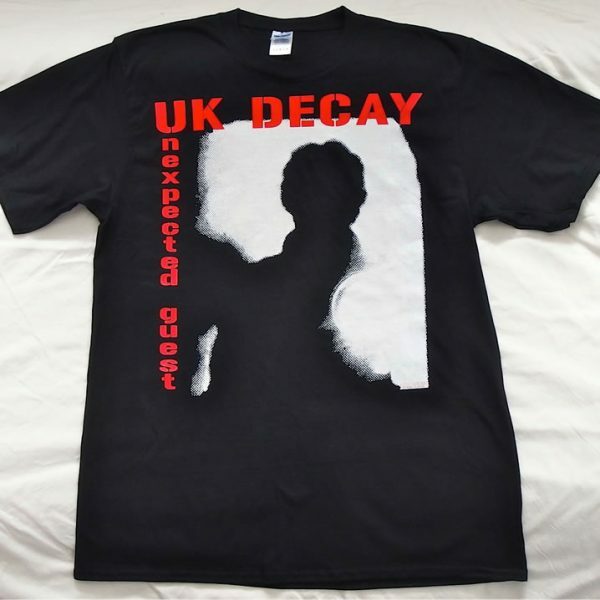 The design made a welcome return in 2005 on the UK Decay Communities website and is still one of our most popular models. 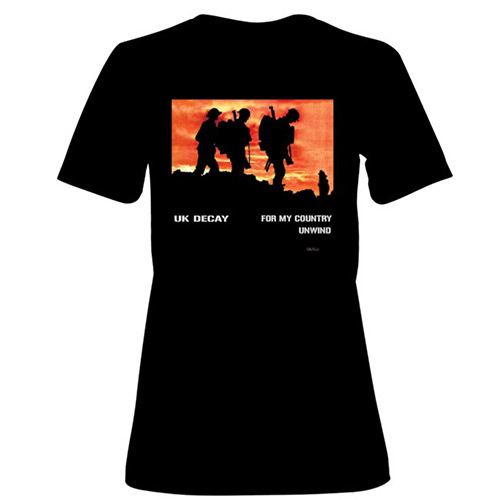 The 2012 version is printed onto 100% pre-shrunk cotton T-Shirts using the DTG method. 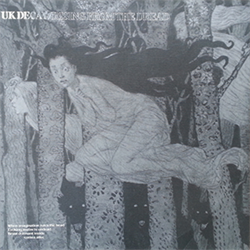 This version takes advantage of the photo quality printing method with more texture in the sunset.